Another installment of BTown HF ALE Intercepts. Scanning a variety of National Guard freqs and a few FEMA/SHARES thrown in to watch for activity associated with the flooding in the NE US. SEYMOUR JOHNSON AIR FORCE BASE, N.C. (AFNS) -- To keep up with the increasing demand for F-15E Strike Eagle pilots and weapon systems officers, a new group is standing up here. The Air Force Reserve Command's 414th Fighter Group may have only a handful of assigned personnel now, but about 340 people will fall under the group, the 307th Fighter Squadron or the 414th Maintenance Squadron, by September 2011. "We currently have 21 people and are actively hiring aircrews, intelligence (people) and maintainers for our organization," said Lt. Col. Kevin Fesler, 307th FS Det. 3 commander and 4th Operations Group deputy commander. "All of the full-time personnel are stationed at Seymour Johnson. The part-time traditional reservists live within driving distance of the base to fulfill their drill period requirements." The role of the new group is to help Seymour Johnson produce more qualified F-15E aircrews. "The total force integration initiative was directed by the chief of staff of the Air Force and the secretary of the Air Force memo in 2007 to utilize AFRC aircrews to produce more F-15E aircrew graduates," Colonel Fesler said. "The success of the initial TFI plan was realized, and the 4th FW requested a Phase II expansion, which includes maintenance and intelligence personnel, with a plus-up of instructor aircrews also. All of these personnel will functionally integrate with the 4th FW and be leveraged to produce more world-class F-15E graduates." The AFRC maintainers arriving to the new units are fully qualified with five-, seven- and nine-skill levels. They will work hand-in-hand with the base's active-duty Airmen. "The 4th MXG will have operational direction over the maintenance personnel, which means they will decide their day-to-day duties," Colonel Fesler said. "The Air Force Reserve Command and Air Combat Command signed memorandums of agreement and understanding regarding the utilization of the personnel to maximize their experience within the 4th FW. The 414th FG will maintain administrative control for reporting, etc." Many of the Airmen had prior active-duty Air Force experience before transferring to the Reserves. Senior Airman Bobby Kerr, a 307th FS crew chief, is one of the first reservists assigned to the unit. "I had no learning curve coming here," he said. "I worked on the F-15 for four years at Langley (Air Force Base, Va.) before joining the Reserve." Airman Kerr is a traditional reservist, so he will spend one weekend a month and two weeks a year working hand-in-hand with the base's active-duty crew chiefs to generate aircraft. "I'm expected to carry my weight," he said. "I'm held to the same standards." Although the active-duty and Reserve crews have meshed well, there have been challenges in establishing the new group on base. "Any new venture meets the challenge of funding," Colonel Fesler said. "The Air Force as a whole has to fund each new initiative and prove the value over another great venture being pursued elsewhere; nothing is free. So, acquiring the required funding to bring in the manpower is a significant challenge." Despite this fact, the colonel has found his involvement in the 414th FG standup a rewarding experience. "(I've enjoyed) having the opportunity to be back in the F-15E community among the greatest warriors in the world and actively participating as a TFI organization that has grown from infancy to being on the cusp of becoming a fighter group," Colonel Fesler said. "It is also rewarding to offer personnel jobs and positions within our organization and watch those folks flourish as they are given increased responsibility." Standing up the total force integration organization required Colonel Fesler to work with many people from various units across the base. "The 4th FW has been tremendously receptive and supportive of the TFI initiatives here," he said. "TFI is a contentious subject across the Department of Defense and the Seymour Johnson expansion and association is seen as a success story, in no small part due to the vision of the leadership here." Our regular MMP reporter Ron P in the Mid Atlantic checks in again with his latest installment of military and government HF logs. All times UTC and Frequencies in kHz. 10816.5 T69ME1 (poss US Army 69th Medical Detachment, Ft Bragg NC): 1600 USB/ALE sounding. Also sounding on 04490.0 USB. 08171.5 A3L & F2H (poss US Army): 1250 USB/ALE sounding. 08864.0 Gander (MWARA NAT A): 1323 USB w/DeeCee 94 (KC-135R, 756th ARS Andrews AFB MD-not heard) w/position report. 08047.0 HAM (Virginia ArNG, Hampton Roads VA): 2000 USB/ALE sounding. 04490.0 KFW652 (Unid SHARES station, West Virginia): 1145 USB/A:E sounding. 04490.0 KGD34 (SHARES Master Coordination Station:Arlington, VA): 1155 USB/ALE sounding. 17458.5 I10ODN (Nat'l Guard entity at Idaho State EOC, Boise ID): 1815 USB/ALE calling A100KN (Nat'l Guard entity at Alaska State EOC, Ft Richardson AK). 17458.5 I10ODN (Nat'l Guard entity at Idaho State EOC, Boise ID): 1825 USB/ALE calling HQ703N (Nat'l Guard Readiness Center, Arlington VA). 08110.0 O/M (Spanish): 2030 USB w/O/M (Spanish). 08957.0 Shannon: 2100 USB w/volmet. 08918.0 New York (MWARA CAR-B): 2101 USB w/Cactus 1060. 04593.5 AFA2BQ (USAF MARS NCS): 2320 USB w/USAF MARS net check-ins for training session #32-also discussing current severe wx (rain/flooding) in the Northeast US: AFA1VY; AFA1EH; AFA2QB; AFA2HC; AFA1TY; AFC1RD; AFA3RF; AFA1AR; AFA1MA; AFA2AC; AFA2QZ; AFA2VB; AFA2RQ; AFA2NY; AFA2ZQ; AFA3VZ; AFA3DJ; AFA3AA; AFA3EM: AFA3TM; AFA3HQ; AFA3AE; AFA3FG; AFA3JP; AFA3EC; AFA1CW; AFA1IN; AFA5WE; AFA3CQ; AFA1HS. Finally had a chance to work up my ALE logs from March 25. Tried to monitor a wide variety of US Gov/Military HF systems. This is another new MOBD station in my db. Who are T43DE1 and T69ME1? 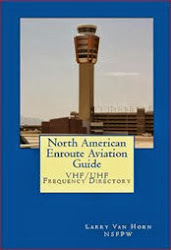 Shannon on the UDXF list posted a new frequency for our latest ALE mystery address - T69ME1. As my good friend Hugh has pointed out on the UDXF list T69ME1 is a recent player on the US Gov and the NG military nets. I first reported this station last week on March 23, 2010. Back in January I saw another player on some of the same frequencies with a similiar ALE address: T43DE1. It was monitored on 10493.0 and 11608.5 kHz. My best guess right now is a US Army NG unit. So it will be fun to watch and see what other ALE addresses pop up using the T43DE1 and T69ME1 format and what new frequencies are used by our T69ME1 friend. Anybody out there reading this blog have any insight that they would like to share? Remember I do accept anonymous contributions. One of the original Milcom newsgroup gang members, Jack Painter, has passed away. Many years ago when I first started the Milcom newsgroup, Jack was one of the first members I invited onboard to test the system. Many will know him by his email nickname "Oceana Radio." Jack was a great monitor, good friend and he will be missed. Fair winds and fillowing seas old friend. Below is a brief obit that has been passed around the radio newsgroups. Virginia Beach-John (Jack) Painter, passed away unexpectedly on November 23, 2009 in Virginia Beach. He was born in Erie, Pa. and was a member of Bayside Presbyterian Church and the US Coast Guard Auxiliary where he was a Communication and Rescue Coordinator. Jack served 8 years in the US Navy as a Submariner where he was a missile technician on the SSBN Andrew Jackson and he received numerous letters of commendation from his commanding officers. He graduated from Fairview High School and Thomas Edison University. He is survived by his loving wife of 22 years, Marie Painter; parents, Robert and Martha Painter of Erie, Pa.; sister, Mary Opitz and husband Chris; brother, James Painter and wife Kathy of Pittsburgh, Pa. and a large, loving extended family of stepchildren, brothers and sisters-in-law, nieces, nephews and his faithful Shih Tzu companion, Cupcake. A memorial service will be held on Saturday, November 28, 2009 at 3:30 p.m. in Bayside Presbyterian Church by Rev. Ben Skidmore. Memorial donations may be made to the Scleroderma Foundation, 300 Rosewood Drive, Suite 105, Danvers, MA 01923; Chesapeake Beach Rescue Squad, Ocean Park Rescue Squad or First Presbyterian Church of the Covenant in Erie, PA.
2000Z - YL in 5F Spanish numbers msg tfc preceded by "Atencion 05341 55712 15482"
NORFOLK (NNS) -- With the traditional first order "man our ship and bring her to life," Sailors assigned to USS New Mexico (SSN 779) boarded the Virginia-class attack submarine during a commissioning ceremony at Naval Station Norfolk March 27. New Mexico is named in recognition of the people of the "Land of Enchantment." The battleship New Mexico (BB-40) (1918-1946), the only other ship named after the 47th state, earned six battle stars for World War II service, which included providing shore bombardment support for landings in the Gilbert and Marshall Islands, Guam, Tinian, Saipan, the Philippines, and Okinawa. Adm. Kirkland Donald, director, Naval Nuclear Propulsion, who delivered the ceremony's principal address, recognized the Northrop Grumman Corporation, distinguished guests, former battleship New Mexico veterans, ship's crew, family and friends stating, "'Defendemos Nuestra Tierra' - defend our land - is the ship's motto, which will start the harmonious tone to the operation of this ship. "It's been a marvel to see the team come together and deliver this operation so well. At the end of the day, this mission-ready ship has been delivered in the shortest time of all other Virginia-class submarines." New Mexico Sponsor, Cindy Giambastiani, wife of former Vice Chairman of the Joint Chiefs of Staff retired Adm. Edmund Giambastiani, congratulated Cmdr. Mark Prokopius, officers and crew members. "Your courage and patriotism will reflect on the life of the ship." Prokopius, New Mexico's commanding officer, will lead the crew of approximately 134 officers and enlisted personnel. "I am proud and humbled to be part of the crew and their commanding officer. I am truly grateful for the dedication that the crew has given to this ship," said Prokopius. Northrop Grumman Corporation delivered the sixth submarine of the Virginia class to the U.S. Navy in December, four months ahead of schedule. New Mexico's 70-month construction period represents the shortest overall construction time to date of any Virginia-class submarine. New Mexico is built to excel in anti-submarine warfare; anti-ship warfare; strike warfare; special operations; intelligence, surveillance, and reconnaissance; irregular warfare; battle group support; and mine warfare missions. By doing so, New Mexico will directly enable five of the six Navy Maritime Strategy Core Capabilities - sea control, power projection, forward presence, maritime security, and deterrence. The 7,800-ton New Mexico was built under a unique teaming arrangement between Northrop Grumman Shipbuilding and General Dynamics Electric Boat. She is 377-feet long, has a 34-foot beam, and will be able to dive to depths of greater than 800 feet and operate at speeds in excess of 25 knots submerged. New Mexico is designed with a reactor plant that will not require refueling during the planned life of the ship - reducing life-cycle costs while increasing underway time. The keel for New Mexico was authenticated April 12, 2008, and the ship was christened on Dec. 13, 2008. New Mexico is the most modern and sophisticated attack submarine in the world, providing undersea supremacy well into the 21st century. 04490.0 T69ME1 (unid US Army): 0800 USB/ALE sounding. 04490.0 KNNP491WV (Red Cross, West Virginia): 1100 USB/ALE sounding. 04490.0 KFW652 (unid): 1125 USB/ALE sounding. 04490.0 728P1WPEH (AT&T,Conyers, GA): 1135 USB/ALE calling KNY86 (NTCN-HF station) & KNY58 (NTCN-HF Gadsden, AL). 08104.0 Y/L (Canadian French): 0031 USB w/O/M (Canadian French). Casual chat about wx and contact times--poss pleasure craft. 07450.0 EXEST2 (unid PEMEX entity): 0150 USB/ALE sounding. 08320.0 O/M (Italian): 2226 USB w/O/M (Italian). Prob maritime link. 08257.0 O/M (Spanish): 2228 USB w/O/M (Spanish). 08265.0 O/M (Spanish): 2242 USB/ALE w/O/M (Spanish). 08218.0 O/M (Spanish): 2300 USB w/O/M (Spanish). 05129.5 SANJAN (3/147th AVN, Puerto Rico ArNG, San Juan PR): 0100 USB/ALE w/R22967 (UH-60A # 72-22967). 07650.0 NGTROOPCOMMAND (Ohio ArNG 73rd Troop Command, Columbus, OH): 1400 USB/ALE sounding. 10816.5 T69ME1 (poss US Army 69th Medical detachment, Ft Bragg NC): 1545 USB/ALE sounding. 16540.0 "Polar Bear" (O/M EE/Tagalog): 2133 USB calling Paricoy (unid martime entity). Gives vessel position as North Atlantic. 08134.0 O/M (Chinese): 2225 USB w/O/M (Chinese). 04604.0 Down East 201 (Civil Air Patrol, Maine): 2333 USB checking into unid CAP net. 2100Z - YL in 5F Spanish numbers msg tfc preceded by "Atencion 15682 38271 87372"
SAN DIEGO (NNS) -- Ships of the Nimitz Carrier Strike Group returned to their homeport of San Diego March 26 after an eight-month deployment to the U.S. 5th Fleet and 7th Fleet areas of responsibility (AOR). The strike group flag ship, nuclear-powered aircraft carrier, USS Nimitz (CVN 68), guided-missile destroyers USS Pinckney (DDG 91) and USS Sampson (DDG 102) and the guided-missile frigate USS Rentz (FFG 46) were greeted by thousands upon arrival. The Nimitz Carrier Strike Group deployed July 31, 2009 in support of the nation's Maritime Strategy. "Every member of the Strike Group has been running hard, operating across the core capabilities of our Maritime Strategy and they've done it with precision," said Rear Adm. Robert P. Girrier, commander, Carrier Strike Group (CSG) 11. "I am tremendously proud of their contributions providing deterrence and forward presence in the Western Pacific, projecting power from the skies over Afghanistan and conducting maritime security operations in the Indian Ocean and the Arabian Gulf." From the Nimitz flight deck, Carrier Air Wing (CVW) 11 began combat operations from the North Arabian Sept. 18, launching more than 2,600 sorties in support of the coalition forces on the ground in Afghanistan. Carrier-based aircraft provided 30 percent of the combat air support for Operation Enduring Freedom (OEF) during the four-month period. "Nimitz was on the line for 120 days of flight operations," said Capt. Paul Monger, Nimitz commanding officer. "The Old Salt/Barbed Wire team generated a 99.7 percent sortie completion rate and they were there on time and on target for coalition forces on the ground. That is the result of the people and the tradition of teamwork that has endured on this ship for three decades." Destroyer Squadron 23 participated in counter-piracy operations off the Horn of Africa, protected critical Iraqi infrastructure and conducted Maritime Security Operations (MSO) for both fleet commanders. "Our operations focused on reassuring regional partners of our commitment to security and stability," said Capt. Geno Autrey, commander, Destroyer Squadron 23. "Whether we were side by side with the Iraqi Navy on an oil terminal, protecting global commerce around the Horn of Africa, or working with the Royal Malaysian Navy, the key ingredient of our many successes were the partnerships we developed with the various regional navies." To further strengthen relationships, Sailors hosted several distinguished visitors and participated in more than 25 Community Service Projects during port visits to Japan, Singapore, Bahrain, United Arab Emirates, Thailand, Malaysia and Hong Kong. "In Singapore we helped at an old church and at a school in Phuket [Thailand] we played a game of soccer with the kids," said Aviation Structural Mechanic 1st Class (AW/SW) David Bauer, assigned to Strike Fighter Squadron 14. "Being overseas is always a great experience, still it has been a long cruise and I am looking forward to returning home." "Every time this team was called, we delivered excellence. When we did, our enemies took notice; our friends and allies took notice," said Monger. "I am truly honored to sail with this team." Nimitz CSG is comprised of USS Nimitz, embarked Carrier Air Wing 11, embarked Destroyer Squadron 23, and the Ticonderoga-class cruiser USS Chosin. Ships assigned to DESRON 23 include the destroyers USS Pinckney, USS Sampson and the frigate USS Rentz. Squadrons from CVW-11 include the "Black Aces" of Strike Fighter Squadron (VFA) 41, the "Tophatters" of VFA-14, the "Warhawks" of VFA-97, the "Sidewinders" of VFA-86, the "Indians" of Helicopter Anti-Submarine Squadron 6, the "Black Ravens" of Electronic Attack Squadron 135, the "Providers" of Fleet Logistics Support Squadron 30 and the "Wallbangers" of Carrier Airborne Command and Control Squadron 117. Helicopter detachments include the "Easy Riders" of Helicopter Anti-submarine Squadron Light 37, the "Battle Cats" of HSL-43, the "Wolfpack" of HSL-45, the "Scorpions" of HSL-49 and the "Wildcards" of Helicopter Sea Combat Squadron 23. Also accompanying the Nimitz CSG are Explosive Ordnance Disposal Mobile Unit 11 and the USNS Bridge. MOBILE, Ala. (NNS) -- The Navy's newest littoral combat ship, USS Independence (LCS 2), sailed away from Mobile, Ala. for the first time March 26. The milestone marks the commencement of initial testing and evaluation of the aluminum vessel. "This is an exciting time for all of us," said Fire Controlman 1st Class Jeffry Gibson. "To be a part of bringing the Navy's newest, most advanced ship to the Fleet is something we all take a great deal of pride in." HANSCOM AIR FORCE BASE, Mass. (AFNS) -- A series of early March flight tests has validated a two-and-a-half year effort and set the course for significantly enhanced airborne communications capability. A team of specialists from the Electronic Systems Center, MITRE Corporation and MIT Lincoln Laboratory used a 707 test bed aircraft to evaluate the transmission capabilities of a prototype waveform developed as part of the High Data Rate Airborne Terminal program, known as HDR-AT. It was the first time an airborne system has successfully accessed the high-capacity Ka-band portion of the new wideband global satellites, which offer wider bandwidth and higher throughput than other military satellites. This development is especially important for the "Global Hawk-class of unmanned aerial systems," which will be first in line for receiving the capability once it's been perfected and transferred to the defense industry, said Dr. Tom Macdonald of Lincoln Lab. As reliance on these high-altitude surveillance aircraft increases, a key challenge has been figuring out how to get the collected data out to operators quickly. This new capability will make that task much easier. "With this waveform, they should have the ability to move hundreds of megabits of sensor data per second off the platform to users beyond direct line-of-sight," Doctor Macdonald said. When the platforms lose line-of-sight connectivity, they have to rely on satellite communication to move their data to where it's needed. "Right now, that mostly requires relying on commercial satellites, which means paying a per-minute charge and living with data-rate limiting constraints of those systems," Doctor Macdonald said. "This new capability will give them a fast, dedicated military solution." Before ever engaging in a flight test, a lot of up-front work had to be done, according to ESC program manager Bill Lyons. First off, the team had to figure out if putting very high data rates through the wideband global satellites was feasible. They started by adapting an existing commercial waveform for military use and testing it in the lab. "It's like satellite TV, only flipped around and running backwards," said Doctor Macdonald. "With satellite TV, there's a big, fixed ground station that sends data to a satellite which relays the signal to many users with small antennas. We run from one small antenna up to the satellite and then to many big terminals, and we hit the gas and make the waveform run a lot, lot faster." During earlier lab testing, the team saw rates as high as 300 megabits per second, which is much higher than the standard desktop user experiences. The question for the flight tests centered on what kind of results could be achieved from the first-of-a-kind airborne terminal. During the flight tests they were able to get to 40 Mbps, which was predictable due to a number of constraints in the test set-up. For one thing, the 2-foot antenna on the 707 was only half the size of the projected Global Hawk antenna. During the testing, the team also was able to use ground stations to show communications at about 200 Mbps per second through the WGS. That rate, the team expects, is more indicative of what could be achieved with a 4-foot Global Hawk antenna and the more powerful Global Hawk amplifier. With the next generation of WGSs, this data rate will increase to almost 300 Mbps for Global Hawk users. While the flight test was a great success, it allowed team members to identify areas needing additional work. The team hopes to schedule another flight test late this summer, to verify solutions and improvements. From here, Mr. Lyons said, the challenge is to transition this effort to industry. That process will begin with an Analysis of Alternatives on the way-ahead. The program team also is planning to do some early risk-reduction, or proof-of-concept testing, with the Global Hawk. "We'll basically take what we've got now and work with Global Hawk program managers to improve it," Mr. Lyons said. Once the AoA is complete, the program office will go out with a Request for Proposal, which likely will lead to some industry prototyping, and eventually to development programs. "The good news is that so much leg work has already been accomplished," said Mark Tsarouhas of the MITRE Corporation, a member of the program team. "In addition to the waveform work, we have been pushing the amplifier industry to develop the necessary power at the right frequencies and investigating the effects of radiation at high altitudes of common digital processing elements. Now when the government asks for those speeds in its formal request to industry, these capabilities will already exist." 3/26/2010 - KIRKUK REGIONAL AIR BASE, Iraq (AFNS) -- Airmen here use the RQ-11B Raven, a small unmanned aircraft equipped with cameras, sensors and communications tools, to give coalition warfighters an advantage of eyes in the sky. 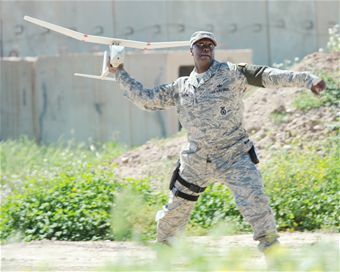 There are many different types of unmanned aircraft, ranging in size and capability, but Kirkuk Regional Air Base Airmen operate the Raven-B that weighs only 4.2 pounds, has a 55 inch wingspan and measures 3 feet in length. Its operators said they believe its unimpressive dimensions feed a common misconception. "People think it's a Styrofoam plane," said Master Sgt. Bryon Griffin, the 506th Expeditionary Security Forces Raven-B NCO in charge deployed from Patrick Air Force Base, Fla. "They think it's something you throw up in the air. Then it crashes and falls apart. But it's actually an innovative, technological aircraft that prevents people from getting injured outside the wire because we can provide the same footage and coverage from an aerial view instead of having personnel on the ground." The aircraft is remotely piloted by a mission operator and vehicle operator who work side-by-side to coordinate on what they are seeing and where the vehicle needs to fly. "They are like the pilot and navigator," said Tech. Sgt. Ricardo De La Cruz, a 506th ESFS Raven-B trainer deployed from Patrick AFB. "The mission operator has a laptop computer system and acts as the navigator. He coordinates with the tower about the course the UAV will take and when it will fly for airspace purposes. The vehicle operator is the one who actually drives the aircraft." The mission operator is able to track the aircraft on his laptop, which is indicated by a triangular shape blip on the screen. This small type unmanned aircraft is then used to perform critical missions in reconnaissance, surveillance, positive target identification and battle damage assessment both inside and outside the wire. "Picture every single time something happens you have to send individuals outside the wire to assess the situation," Sergeant De La Cruz said. "This scenario poses a potential hazard to those individuals. But if we are able to launch the UAV from inside the wire and get the same information from an aerial view brought back to us in less time it takes people to mobilize a unit, that is huge. The unit would have to drive through the city very cautiously, but the UAV could just fly right over the area and get the same information." "Not only does it save lives and reduce the risk of people getting injured, but also you still get the same footage, same surveillance, same area coverage, and you do it a lot quicker and a little more in detail," he said. The unique capability this device brings to the mission is one reason why Sergeant Griffin said he enjoys what he does so much. "This is something new for me as far as being a security forces guy doing ground pounding day to day," he said. "This gives me a better overall outlook on why we do what we do, and this UAV is just another tool we use as (security forces) members to keep the mission up. It's a force multiplier and enhancer as far as base security." Sergeant De La Cruz said he is just happy to play a part in keeping his fellow servicemembers out of harm's way. "We are all here together, and we all want to leave together," he said. "It's that total team concept, so if I can help out my team this way than I am definitely all for it." WASHINGTON (NNS) -- USS New York (LPD 21) successfully completed Combat Systems Ship Qualifications Trials, March 22 after spending 15 days at sea conducting tests of the ship's weapons systems. The ship departed Norfolk, March 3, en route to Mayport, Fla. While at sea, the ship's crew engaged in various training exercises to ensure the ship's weapon systems had been properly installed, function correctly and can be operated safely. "The successful completion of these trials validates the design and integration of the weapon systems aboard LPD 21," said Jay Stefany, LPD 17 program manager within the Navy's Program Executive Office (PEO) Ships. "The exercises went as planned, and, like the previous ships of the class, USS New York and her crew proved they are a valuable fleet asset." New York's MK 46 Mod 2 30mm gun and MK 31 RAM Guided Missile Weapon System were both successfully demonstrated during the live-fire phase of the trials. Also tested were the ship's communication and coordination capabilities, radar systems, and decoy systems. New York is the fifth ship of the class developed and acquired by PEO Ships. The principal mission of LPD 17 class amphibious transport dock ships is to transport and deploy the necessary combat and support elements of Marine Expeditionary Units and Brigades. 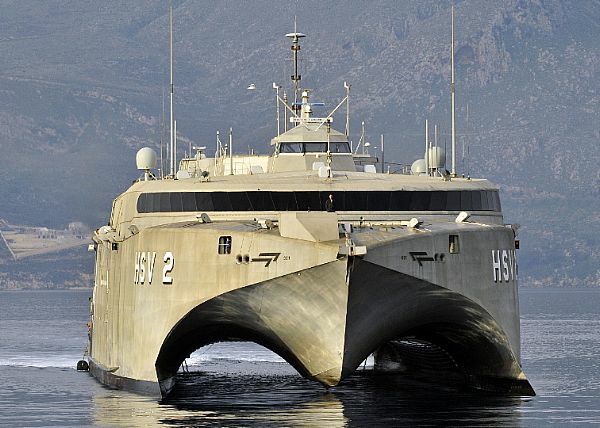 The ships carry approximately 720 troops and have the capability of transporting and debarking air cushion or conventional landing craft and expeditionary fighting vehicles, augmented by helicopters or vertical take-off and landing aircraft. PEO Ships is responsible for the development and acquisition of U.S. Navy surface ships, and is currently managing the design and construction of a wide range of ship classes and small boats and craft. These platforms range from major warships such as frontline surface combatants and amphibious assault ships to air-cushioned landing craft, oceanographic research ships and special warfare craft. PEO Ships has delivered 38 major warships and hundreds of small boats and craft from more than 30 shipyards and boat builders across the United States. Time for some Milcom and US Government HF ALE logs from our shack in the south App mountains. Here is what I caught on the Mil/Gov ALE freqs yesterday from the Radio Ranch here in BTown. BARKSDALE AIR FORCE BASE, La. (AFNS) -- The Air Force chief of staff opened the first-ever Air Force Global Strike Command commander's conference Mar. 24 via video teleconference, telling wing commanders, spouses, command chiefs and civic leaders from across the command that they have a critical mission that requires constant vigilance. Gen. Norton Schwartz told more than 50 people gathered in the Eubank Conference Center here that Air Force senior leaders' commitment to the nuclear deterrence and global strike missions is "not a flash in the pan" and will endure. "This is a tough business, with a margin of error near zero," the chief of staff said. "This is about fulfilling profound obligations for the nation's most lethal weapons," he said. In the 45-minute session, General Schwartz told wing commanders from the nation's Minuteman III ICBM, B-52 and B-2 bomber wings, "I personally appreciate your commitment to inspiring your teams" in a business that demands rigorous assessments and high standards. "We are all in this," the general said. The three-day conference included speakers on heritage, professional development and open discussions on issues facing the bomber and missile wings. Continuing to strengthen the nuclear enterprise is one of the Air Force's top priorities. A part of that process has been to "provide an inspections process that uncovers things," General Schwartz said. "Inspections are not to give people a hard time, or to make life difficult, but to maintain standards," he said. "It is still a human endeavor. There will be deviations, but we can't ignore those deviations." "Folks should not be anxious," he explained, rather "they should see the good in being self-critical." Results should be taken and adjustments made as necessary, he said. The chief addressed how it took a full spectrum of people -- spouses, families, civic leaders and Airmen -- to enable Global Strike Command to be where it is today, up from about 100 people on Aug. 7 to about 23,000 and six wings at five major bases today. Community support is vital, he said, while praising civic leaders' efforts, which result in "making sure we have safe, secure and welcoming" communities around Air Force bases. General Schwartz also took time to tell commanders' spouses gathered for the conference that "we would not be what we are without your efforts." He noted he had learned a lot from the on-going Year of the Air Force Family initiative, including issues associated with housing and the quality of on-base living and schools. "Thank you for your service," he said to the spouses, "it matters." JOINT BASE BALAD, Iraq (AFNS) -- MC-12 Liberty aircrews assigned to the 362nd Expeditionary Reconnaissance Squadron completed their 2,000th combat sortie recently from Joint Base Balad. The MC-12 program took off in the fall as Airmen flew the first combat mission in the intelligence, surveillance and reconnaissance aircraft that supports coalition and joint ground troops in operations Iraqi Freedom and Enduring Freedom. "A year ago the commander and I were learning how to start the new aircraft, and now the program just flew its 2,000th mission," said Capt. Ryan Woodman, a 362nd ERS mission pilot. "Given what this program accomplishes for the troops on the ground, it is a great feeling. We are the eyes in the sky for those guys. We are able to communicate and help them with their mission on the ground." 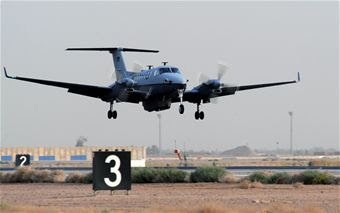 The MC-12, which allows the crew to support the ground troops, is a tactical ISR aircraft. The plane is operated by two pilots in the front of the fixed-wing aircraft and two enlisted members who gather intelligence by operating a sensor, a camera, located on the bottom of the plane. Having people in the aircraft allow adjustments to be made quickly. The adjustments allow a quick dissemination of information. "As the signals operator, my job is to locate high value individuals and coordinate with the sensor operator to put the intel together," said Senior Airman Candise Woods, a 362nd ERS signals intel operator. "We are able to provide an angle of intel that other forces can't provide. We are providing real-time information to the ground forces." Junior ranking Airmen in the MC-12 program have a lot of responsibility for this mission. "Our junior Airmen are constantly in situations where they (must) give correct info in a matter of seconds," said Lt. Col. Phillip Stewart, the 362nd ERS commander. "Their decisions could mean the difference between life and death to the Soldier, Marine or Airmen on the ground. In a split second they have to be able to decide if the guy they are looking at is holding a shovel or a rifle and then transmit it to the ground. They perform under this pressure exceptionally well." For the last nine months, the MC-12 mission has provided intelligence that has no doubt eased the minds of the security forces members patrolling villages, but it has also contributed to the arrest and prosecution of several dozen wanted individuals, and discovered multiple weapons caches and IEDs. Time for some Milcom HF logs from the shack in the mountains. Here is what I caught on ALE yesterday afternoon from the Radio Ranch here in BTown. T69ME1=Possible US Army Med Unit? 08047.0 RLD (Virginia ArNG, Richland VA): 1800 USB/ALE sounding. 08047.0 T040NN (Tennessee ArNG entity at TN State EOC): 1200 USB/ALE calling HQ703N (US Nat'l Guard Readiness Center, Arlington VA). 08047.0 M050IN (Michigan ArNG entity at TN State EOC):1400 USB/ALE sounding. 06586.0 New York (MWARA CAR-B): 2323 USB w/AA 63 w/position report & selcal check. 06604.0 New York: 2335 USB w/volmet. 10024.0 O/M (Spanish): 2359 USB w/Chile 601 (O/M Spanish) w/position report. 04331.0 4XZ (Israeli Navy): 0027 CW w/5-ltr group msgs. 08287.0 O/M (Spanish): 1119 USB w/O/M (Spanish). Prob maritime link. 08131.0 Y/L (US EE): 1154 USB w/O/M (US EE) discussing recent passage of tax bill. Prob pleasure craft in the Caribbean. 05192.0 2104CTSCSP (unid): 1200 USB/ALE sounding. 05192.0 VA78CTSCSP (unid): 1300 USB/ALE sounding. 12222.0 Panther (OPBAT Nassau Bahamas): 1747 USB w/J40 (USCG MH-60J #6040 CGAS San Diego-not heard). Panther advises J40 that he is showing up as J01 on OPBAT's screen. 07805.0 MA1NC (EOC, Manchester New Hampshire): 1800 USB/ALE sounding. 06577.0 New York (MWARA CAR-A): 2120 USB w/various acft. 09224.0 OARNNN (Navy/Marine MARS); WWLNNN (Navy/Marine MARS) & KBPNNN (Navy/Marine MARS): 2255 USB/ALE sounding. 04765.0 WWLNNN (Navy/Marine MARS): 2335 USB/ALE sounding. 11098.5 SEJNNN (Navy/Marine MARS) & OARNNN (Navy/Marine MARS): 0100 USB/ALE sounding. 05158.0 KBPNNN (Navy/Marine MARS) 1052 USB/ALE sounding. 09106.0 ARCKM (unid): 2100 USB/ALE sounding.